No. 3 QB has not appeared in any of the Utes' six games. Freshman quarterback Jack Tuttle intends to transfer from the Utah football program, the Ute Zone website, affiliated with 247 Sports, reported Wednesday night. 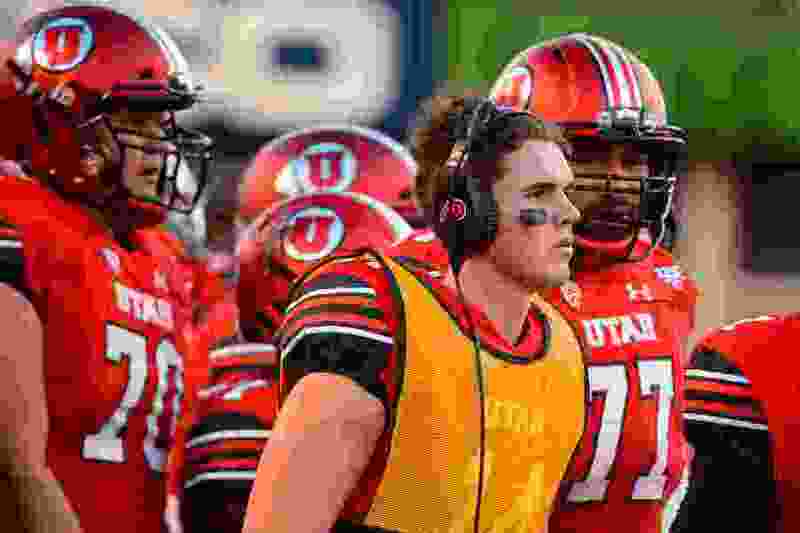 Tuttle has not made any announcement and Utah Athletics has not confirmed a move, but another source familiar with Tuttle’s thinking told The Tribune that he intends to leave. The Utah Rivals website also reported the impending move. Considered the most prized quarterback recruit in school history, Tuttle has not appeared in any of Utah's six games. When the Utes' preseason camp ended in August, redshirt freshman Jason Shelley was named the No. 2 quarterback, behind second-year starter Tyler Huntley. Shelley has played in the fourth quarters of two games, the season opener vs. Weber State and last Friday's win over Arizona. Tuttle, from Southern California, graduated early from high school and enrolled at Utah in January. Utah offensive coordinator Troy Taylor had said Shelley and Tuttle were even after spring practice. In naming Shelley No. 2 on Aug. 27, Ute coach Kyle Whittingham said Shelley had “just slightly edged out” Tuttle. After practice Tuesday, the last day of the week that media interviews are conducted, Tuttle walked off the field with Huntley, smiling and laughing. Tuttle's departure would be a hit to Utah's quarterbacking future, although Huntley is scheduled to return in 2019 as a third-year starter and Shelley likely would remain the backup. The Utes had promised Tuttle that if he maintained his commitment to them, they wouldn't sign another quarterback in the class of 2018. Otherwise, they may have landed Corner Canyon High School product Zach Wilson, who originally committed to Boise State and then switched to BYU, where he's now the starter. Utah also backed away from Lehi's Cammon Cooper, who signed with Washington State. By transferring to another FBS school, Tuttle would have to sit out the 2019 season and lose a year’s eligibility, then play as a sophomore in 2020. According to new NCAA rules, Utah could not block him from transferring to any school. Tuttle’s remaining on the bench for the Utes has come during a season when true freshman quarterbacks have started games for multiple Power Five schools – including JT Daniels for USC, Utah’s opponent Saturday night at Rice-Eccles Stadium.